Social travel planning service Gtrot is changing its focus and is now officially relaunching its website with a new emphasis on local discovery. 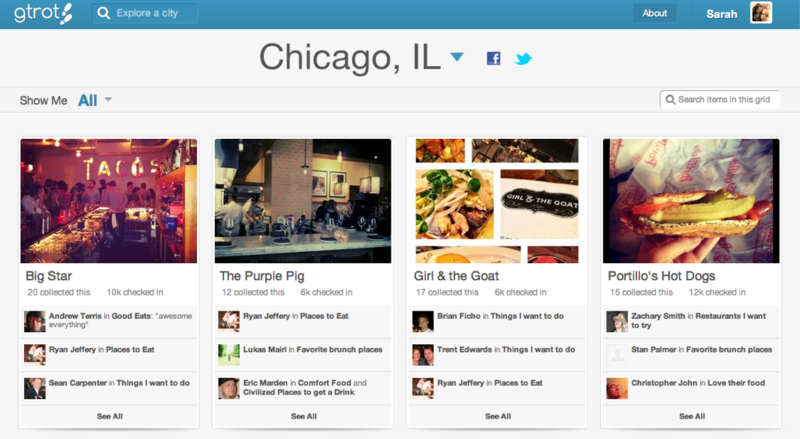 Somewhat reminiscent of Foursquare’s “Explore” feature, Gtrot is working to build a platform where you can discover, save and share the best restaurants, bars, clubs, arts, events and even the best local deals from services like Groupon and Gilt City. These changes have been underway for some time, as Gtrot has been moving away from the travel vertical since as far back as last fall. But the current version of the website you see now, was soft-launched just last week. Why the shift? According Gtrot co-founder Zachary Smith, “we actually saw that nearly half of our users were using our technology to explore our home city. Because we did give these instant recommendations and they were personalized and social, it was a really cool tool for finding things to do this weekend,” he says. Plus, “local discovery as a space makes a lot more sense than some travel specific application that you can only use a couple of times a year,” he adds. “Gtrot is really more aspirational, or even inspirational,” he says. “We want you to browse all this content we’ve aggregated, start creating collections of things, and start to build up things you might want to do in the future, and stuff that you love in your city,” he explains. The site allows you to sign in via Twitter, Facebook or Foursquare, and plans to further integrate with social services to aggregate your own checkins in a list called “Places I’ve Been.” (This feature did not appear to be live at the time of testing.) 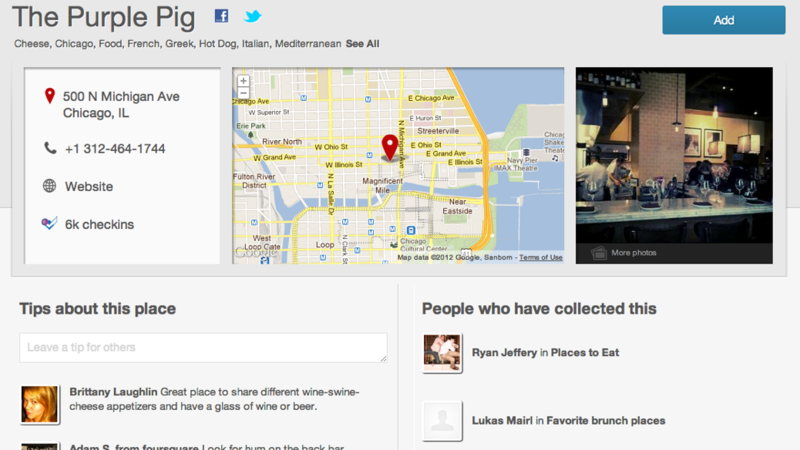 It does, however, currently aggregate the number of checkins a venue has from Foursquare to indicate its popularity. I think that having Gtrot’s data sync back to Foursquare – for example, to its lists feature – would be useful, but there aren’t immediate plans to build a tool to do that at this time, Smith tells me. That’s too bad, because Foursquare’s lists are definitely an underutilized and underdeveloped aspect to its service. Just the other day, a friend was spouting off the names of restaurants he liked, and the app I launched to record them was the iPhone’s notepad. Sad. Going forward, the plan is to add data from other content providers to the site, so users can read restaurant menus or book reservations right on Gtrot, or buy concert tickets or purchase a daily deal. The startup is also about six weeks away from the launch of iOS and Android apps. Gtrot was originally founded by Smith and Brittany Laughlin, but Laughlin is no longer playing as active a role (she still sits on the board, though). The company currently has 15,000 users and around $1 million in funding from Lightback, from a round raised last spring.